My custom-tailored approach to fitness includes a detailed appraisal of your health history, movement screening/musculoskeletal examination, and goal-setting congruent with your health and fitness ambitions. I don’t use cookie-cutter programs, only sound principles based on your individual needs, applied judiciously over time. 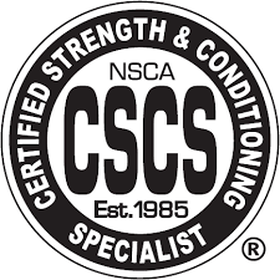 My personal research interest, writing, and teaching centers around strength and mobility training. In particular, examining and interpreting the scientific literature on--but certainly not limited to-- stretch physiology, strength&conditioning, and neuroscience research. My health-first approach looks at mobility as an indicator and a pre-requisite of physical health that precedes all other movement qualities. Be mobile, be strong, and move how you want to move. In addition to my fitness coaching experience, i also host continuing education events for fitness and medical professionals, teach workshops throughout the year, and consult with companies on various corporate wellness projects.